Many assumed that legalized cannabis would have a drastic impact on other controlled markets like the alcohol and tobacco industry. Many assumed that legalized cannabis would have a drastic impact on other controlled markets like the alcohol and tobacco industry. But, according to a recent study by Bernstein Investments, alcohol sales weren’t affected by recreational cannabis. And in some cases, beer sales actually increased after legalized cannabis legislations. Bernstein Investments does admit that the study only analyzed a limited number of states and their alcohol sales trends, but was still confident in their findings and conclusions. The authors of the study claimed that opposite of what cannabis enthusiasts were expecting. That is that alcohol is a complement rather than a substitute to recreational cannabis. When cannabis was legalized in Washington state back in 2012, the tax revenue from alcohol was much lower than it is currently. Between 2014 and 2016, tax revenue alone has increased almost $1.5 million in the state. Not only has Washington’s alcohol industry been on the rise, but Colorado has seen a similar increase. Despite having a billion dollar cannabis market, that money has not been siphoned from the booze industry. The tax revenue from alcohol has been rising steadily since 2011. Another interesting statistic from the study is the decline in sales from industrial sized breweries like Coors Light and Budweiser. But this decline isn’t from the cannabis market’s expansion. Much like craft cannabis, the craft beer industry has seen a huge amount of growth in the past seven years. Consumers are loving locally brewed products and the complexity of flavors that they bring. I’d be pretty scared for the future if I was running the show at Budweiser. The shift in consumer preference in the beer industry could also be a sign of what is to come for the future of recreational cannabis. With lots of big corporations jumping into the green space, a lot of smaller local companies might be in trouble. But if the consumer continues to prefer craft products that were made locally, the cannabis industry could thrive just like craft beer. 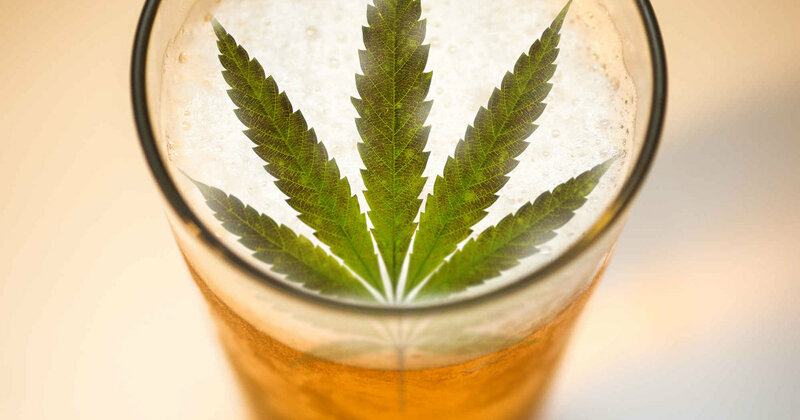 Are you a fan of beer and cannabis? Check out this product that combined the two!